After using the offerings from Lime Crime for a few months I am used to how this type of product works; you have to be careful applying, don't touch your lips together whilst it's drying and you should be set until you decide you want to remove it. However Sleek Matte Me doesn't get a chance to hang around that long. I exfoliated my lips and applied lip balm then carried on with the rest of my make up to give it time to sink in. A while later I wiped off the excess balm and applied Fandango Purple. Within minutes of it drying I knew I was going to have a problem, my lips felt tight and really uncomfortable. Unlike anything I have ever felt before. The best way I can describe the feeling is it felt like my lips were being strangled. I thought maybe it was just the product settling and drying so I left it for a while, but after about 45 minutes I couldn't take it anymore, it had to come off. As soon as I took it off I applied a nourishing lip balm (a home-made one which I will be posting the recipe for soon), but even that didn't save me. I have been left with very dry, sore lips. I usually have smooth lips with no roughness or patches, probably because I am constantly re-applying said lip balm, but at the moment (4 days after application) they feel terrible. I feel as if they are going to split if I smile, and that's after only 45 minutes of wear! 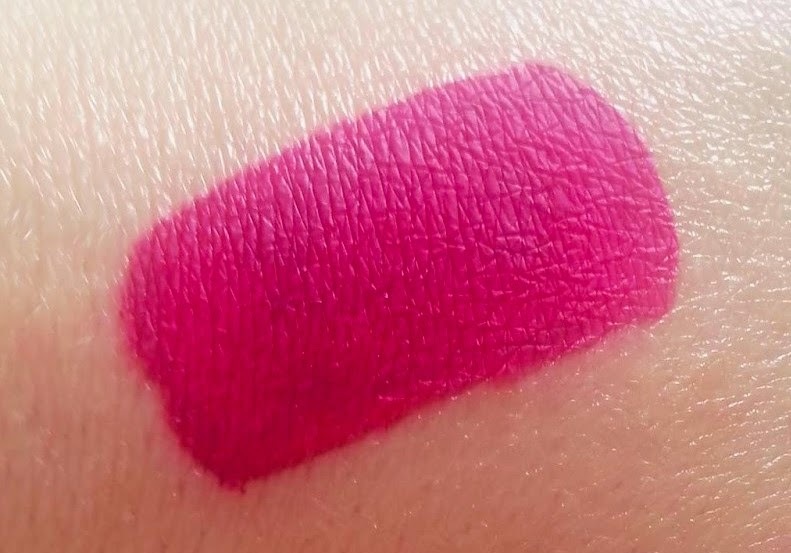 I also have the shade Birthday Suit but I am scared to try it in case it has the same effect, though I have read that each shade behaves slightly differently so maybe I will once my lips are healed. For the foreseeable future I will be using moisturising lip products only and this beautiful shade will sit in the back of a drawer, never to be touched again. Have you tried any of the Matte Me range? I'd be interested to hear what your experience was like with them. Update: I have now tried the shade 'Birthday Suit' and have had no problems, in fact I really like it. I think maybe I had some kind of allergic reaction to the shade Fandango Purple.